At a joint meeting Monday night, the Columbia Borough School Board and Columbia Borough Council voted unanimously to place a school resource officer in Columbia schools, beginning with the 2016-17 school year. We need more in the streets of columbia!! I agree, the school's not that big. More on the street not behind a desk in the school! The officer will not be "behind a desk". The interaction and influence this officer may have on students will spread outside the classroom. In turn making for a better community. With a positive role model, troubled kids may think twice before doing something stupid that could get them in trouble. When the county reassessment hits next year & we lose all that income from property values dropping they'll be wishing they didn't do this dumb stuff. Instead of working on ending this school district they keep dumping money down the black hole. They received a grant from PDE. So of we don't get the grant next year do we eliminate the position? I can not believe the powers that be continue to spend, spend, spend. this is NOT Lancaster, Baltimore or Philly. We can NOT afford this resourse officer and I don't believe we need one. Lock the doors. 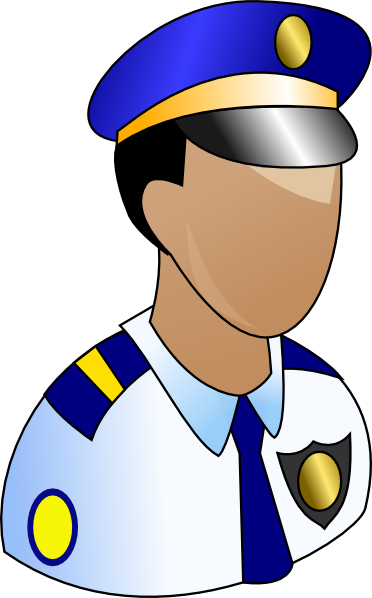 Maybe staffing a Resource Officer will improve the conditions at the school, reduce the number of times that the fulltime police officers are needed there and therefore affording the Police the time to focus on patrolling town and making the arrest that need to be made. Honestly it is sad to think that we need to have a Resource Officer at the school, but we do. Maybe having one there will eventually reduce the need. Maybe then the VANDALISM AND CRIMES IN THIS TOWN WILL DECREASE!!! My vehicle was severely damaged the early morning hours of April 21, two flat tires, side severely KICKED ALONG WITH THE BACK BUMPER! IT'S ONLY MONEY, I'M HERE TO STAY! GET IT? then the SCHOOL should hire someone and pay them. maybe the school should make ALL renters, tenants who have children going to our schools step up and pay their own way. the elderly in town can't afford to go to the Drs or purchase their meds and this is what you do? absolutely unacceptable. the police need ALL their time to deal with ALL THESE PROBLEM RENTAL PROPERTIES since nothing ever changes. get rid of all the assistants to the supers, directors,etc. it's close to HALF A MILLION A YEAR JUST for assistants...SCHOOL BOARD....CONSOLIDATE THE SCHOOLS. Don't put people on the school board who have family that work for the school district such as Stickler. Bob has one of the nicest, best maintained houses on the block. Seems what ever dram, DRAMA, your talking about made a few more step up and CLEAN UP! I'll do what I need to do within the law. Take your own advise along with mine. Sidewalks are the PROPERTY OWNERS RESPONSIBILITY ALONG WITH CURBS. To the best of my knowledge. BTW stop crying, it's HISTORIC! It's your responsibility to maintain your sidewalk. When you do,,, fix your curb also, it's an accident waiting to happen. And of course your the one to be sued. It's your responsibility, fix it.